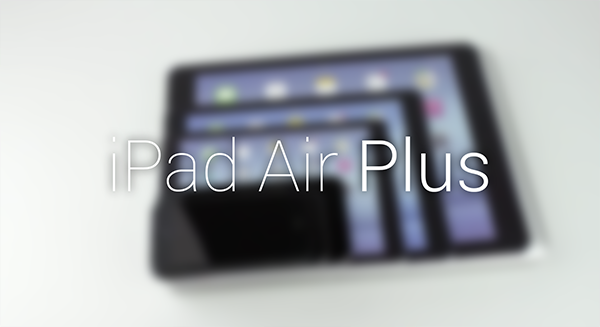 There has been on-off talk of Apple’s larger, so-called ‘iPad Air Plus’ for some time now, with initial rumors stretching back well over a year. But with Samsung’s Galaxy Tab Pro series and, of course, the monstrosity that is the Surface Pro 3, there’s a real feeling that Apple will finally cave at some point this year, although what a slate with a ~12-inch display means for the MacBook line remains unclear. Still, a new case leak offers a possible glimpse as to the shape and size of this upcoming slab, as well as where the numerous switches, buttons and ports may reside. Case leaks are perhaps the vaguest and least reliable of all leaked material. It only takes one tip-off before cases and covers are created en masse, and given how many eventually inaccurate schematics have leaked in the run-up to past Apple products, the amount of wastage must be mind-blowing. Still, NowhereElse has just dropped a photo of a case that it acquired from a reliant source, and aside from the obvious matter of the sizeable print, the case, if legit, also includes a number of cutouts that tell us what will go where in terms of SIMs, speakers and such. 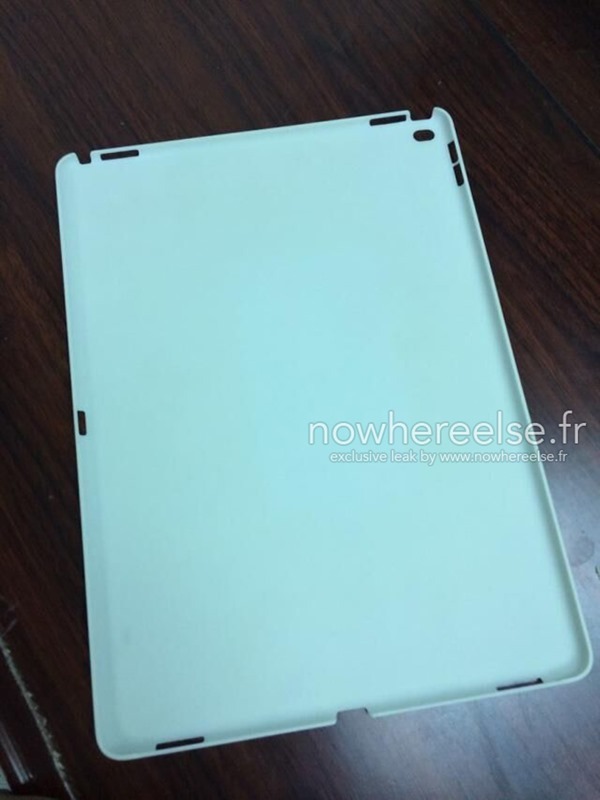 Whereas Apple’s current iPads include two speaker grills at the bottom near the Home button, the leak suggests that there’ll be two at each end, for richer sound output. Whether there’ll be any kind of tie-in with Beats from a marketing or hardware standpoint remains to be seen, but if Apple is to go all-out in making this a ‘Pro’ device, rich audio quality would seem a must. Elsewhere, you’ve got your headphone cutout, as well as further gaps for the standard features like volume, Lightning connector and rear-facing camera. The small gap on the side, to the left in the picture, is probably for a SIM slot, since it’s hard to imagine anything else (like, say, a microSD slot) sitting in that location. To be honest, the latter sounds a bit more elegant and grandiose, but whatever the moniker, let’s just hope it is a real product and is announced amid the cluster of upcoming and supposedly upcoming devices. I don’t think a SIM is something that needs to be replaced often enough to bother with an opening in a case such as this… My guess would be that the hole on the left hand side is for a secondary lightening connector, like how some of the early iPad prototypes had two dock connectors so they could be docked in portrait or landscape orientation (the latter being something they obviously decided was superfluous for a 9.7″ screen device). Given how massively tall this thing will be in portrait orientation, it would definitely make sense to include the ability to dock it in landscape orientation. I say it’s the power button. You may be right, but it would be an odd placement if so. I would’ve guessed the power button was located where the gap above the hole for the camera in the upper-right-hand corner is. If the gap on the left-hand side is the power button, then what goes above the camera? Maybe this will be the one to get the split screen multitasking rumored for iOS 8.